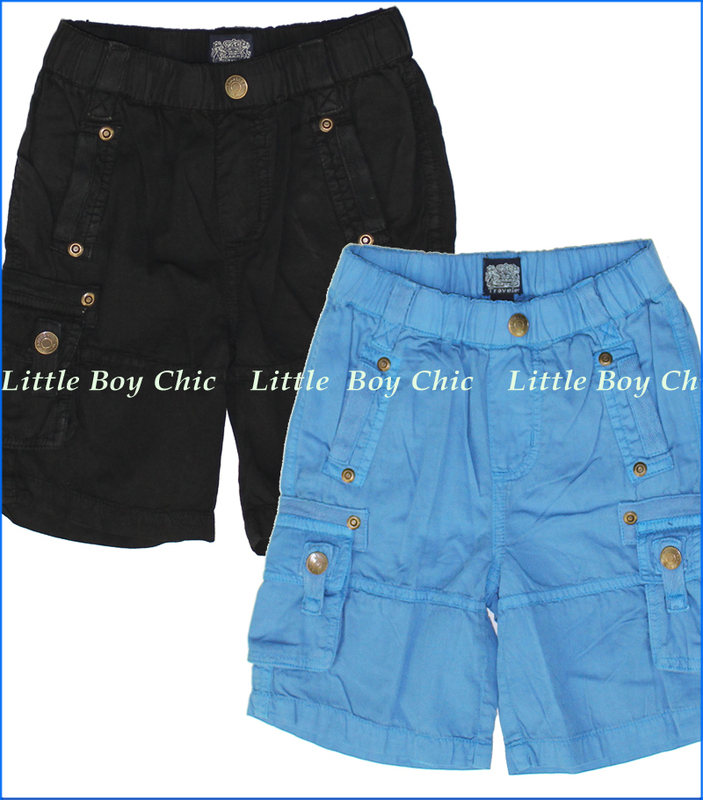 With versatile colors and stylish silhoutte, these super comfy shorts are sure to be his new favorite. Easy pull-up styles with elastic waistband. Logo snap front with faux fly and belt loops. Front pockets with trim. 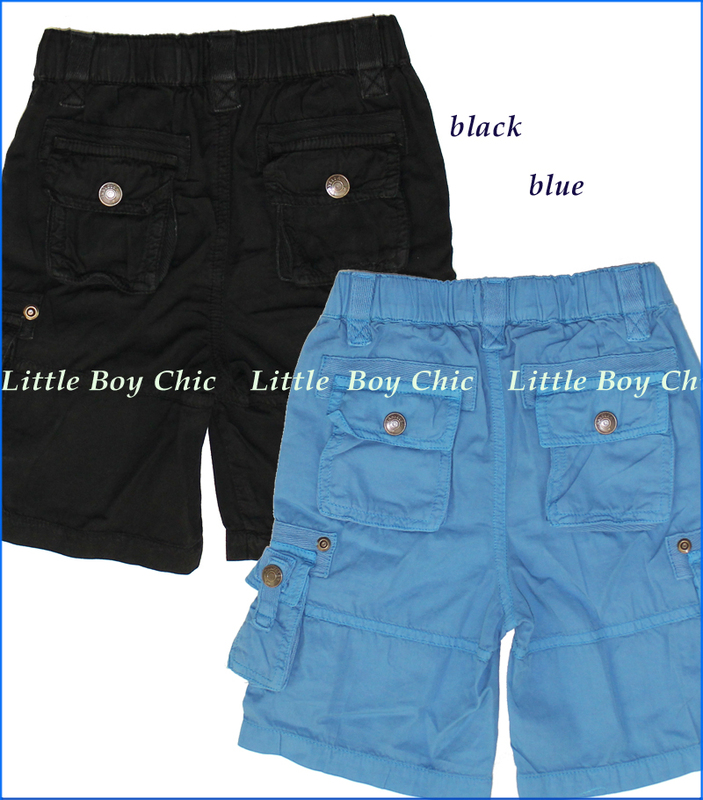 Gusseted cargo and back pockets with flaps and logo snaps. Rivets. Choose from black or blue.